The current Greek government, with the luck of the political time at its disposal, has gone even further and almost exclusively into the direction of fiscal adjustment, which of course, was needed again after the abandonment of the 2nd Program and the fiscal derailment of the first half of 2015. To Jean-Claude Juncker, the President of the European Commission, one of the most well-seasoned and dedicated European politicians, we have to acknowledge at least his continued and practical support for Greece throughout this long-standing crisis. Even when Greek society, with high rates of 62%, was supposedly rejected his plan, with the referendum as a lever of political support for the government, targeting the President of the Commission as the main representative of the European partners, Mr. Juncker showed understanding. And he insisted, in the end, persuading the leaders of the major Member States not to adopt the €50 billion Greece’s "exit plan" from the Eurozone - but the -about €35 billion more expensive- Fiscal Adjustment and Structural Reform Program. This was the 3rd Memorandum of Understanding, which included the continuation of almost all of the incomplete reforms from the 2nd Program. And in this direction, the Greek government moved easily because of the de facto affinity of an intensive taxation policy with the "ideological suspension" that the ruling party has. But also by accelerating and, in the end effectively, with "overproduction", at least at the significant increase in public revenues, taking advantage of the institutional "tools" that had been consolidated with the previous Programs despite the fierce disagreement of the opposition then and currently the government. While the present government has always tried systematically in all policy areas for the availability of social goods, i.e. in health, safety and education, to minimize - or even to pay without prior delay - the so-called costs to third parties. Although they represent a (very) small part of the annual budget for ministries and the public sector in general - because of the prohibitively large percentage of wage costs - on the other hand, they concern work and tasks critical to the present elementary, already very low, operational capacity of these entities. Hence the phenomena of the decline in the effectiveness of structures and mechanisms to ensure public safety and social peace, health and education - less directly visible to the latter due to the nature of the long-term impact on the field. It is quite obvious that the distance between political intentions, as they were partly reflected by indicators and prerequisites in the "Adaptation and Reform Programs" and their ultimate effectiveness, declined between 2010 and 2014, while took off again during the 3rd and final Program. With the sole exception of the scope of fiscal adjustment, which was otherwise achieved in excess, with a fragile balance of government revenues and expenditures and with the overwhelming burden on the economy. After that, this balance did not come as a result of the gradual address of the root causes of the crisis. That is, as a result of similar progress in the area of reforms, with achievements in the field of non-budgetary objectives and prerequisites of the Program (we almost all learned about "prior actions"!). 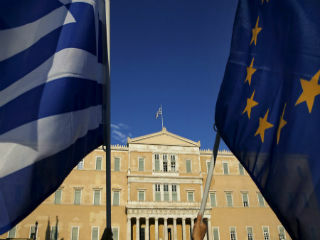 Just because the results are far from the intentions and the programmatic objectives, having left aside the difficulties for the two-year period 2019-2020, one would expect if not from the Greek political staff, at least from the European institutions, greater sensitivity. This would be depicted in statements with "clear messages" to the Greek society. That is, while we actually reached the end of the Program and this is a "conquest" of the Greek people, because of the unjust and absurdly increased sacrifices to which it was subjected, at the same time this people must realize that we will still need significant changes, so as to ensure the well-being for the future generations. In a nutshell, what it is really worrying is the alleged flattering declaration of the philhellene President of the Commission that "... after August 20th, Greece will come out of an eight-year financial support program, being able to rely on its own forces (without help of other European states), securing its place in the heart of the Eurozone and the Union". While he knows that this could happen for a maximum of 12-18 months, since the reforms in the goods markets and in the public sector, health, education and - again - insurance do not progress quickly. What would it cost him if he added a phrase, and specifically, that this would be "sustainable" only if the delayed ("cursed") reforms are about to be made? And so, unfortunately, for the image of these institutions towards the promising parts of Greek society, but also at the expense of the need to raise awareness in this society, the President of the EU has been tragically disproved, almost " before the rooster crows three times’’. The tragic destruction with the recent fires in Attica region, which prepare us for recurring similar natural disasters, make fully apparent the unbearable inadequacy of public services to perform. With obvious effects, not diffused and long-term, as in other fields. A basic "lesson" for any "re-launch": Finally, the European institutions should review their attitude and the consistency of their policies at all levels, from quasi-elected Commissioners to the bureaucracy. Helping at the same time the Greek political personnel and finally the Greek people. *Dr. Kastis is European Policy Specialist & Dr. Zairis is Member of the American Economic Association (AEA).